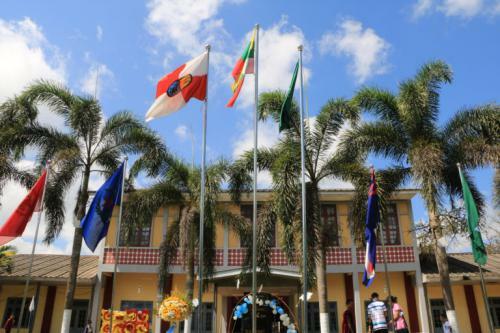 Myanmar Adventist College & Seminary offers academic programs leading to the following degrees. Degrees are conferred only upon those who satisfactorily complete the specific requirements for graduation. The four-year curriculum with a major sequence in Accountancy leads to the degree of Bachelor of Business Administration. the degree of Bachelor of Business Administration. concentration, leads to the degree of Bachelor of Elementary Education. The four-year curriculum with a major sequence in General Teaching Education leads to the degree of Bachelor of Arts in Education. The four-year curriculum with a major sequence in Religious study leads to the degree of Bachelor of Arts in Religion. A four-year curriculum with a concentration in religion and related fields leads to the degree Bachelor of Theology. If a student is completing two majors, there must be a minimum of 20 hours of unduplicated courses in each major, i.e., when looking at either major, there must be at least 20 hours of courses which do not show up in the other major. If a student is completing a major and a minor, there must be a minimum of 9 hours in the minor which are not included in the major. If a student is completing two or more minors there must be at least 9 hours of unduplicated courses in each minor.